Let the Rotti Games Begin! Rotties are natural working animals and love a job if they're lucky enough to have one, most like to be couch potatoes by night. But they're pretty good at having fun too, what better way to combine training and fun than to challenge your intelligent, versatile, powerful and athletic canine buddy?  So use your imagination, let's get those tails wagging and have some fun! IMPORTANT: USE COMMON SENSE, consider your abilities, the dogs' age, physical condition, stamina and temperament before asking him to do something that might exceed his limitations, or risk possible injury to yourself or your friend who trusts you with his life. 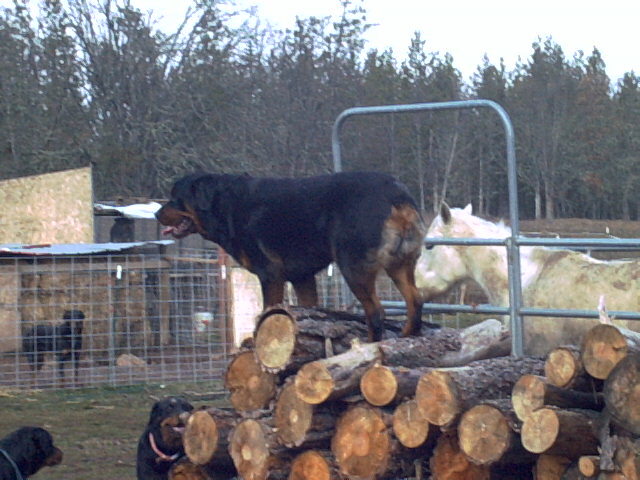 *Agility - Agility is ideal for holding the attention of your quick-thinking Rotti because the course set-ups can vary each time. *Take a Hike - Your Rotti will enjoy his own backpack for his personal items, such as water for the hike, don't overdo it. *Canine Good Citizen - Your Rotti could become an Ambassador for the breed by demonstrating competance in this well mannered event. To be truthful, we prefer independent thinkers, rather than just obedient. *Move To The Music - A combination of obedience and equine dressage, set to music. 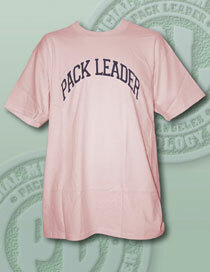 Ideal for Rotties to demonstrate their athletic ability, attentiveness and flexibility. *Get Along Little Doggie - Herding helps develop confidence, start on an easy job and work up to more challenging ones. *Obedience - Demonstrates the harmoney in thought and action between human and Rotti. *Ultimate Catch Game - The thrilling team sport of flyball, teaches socialization and team playing. *Schuzhund - Means Protection dog in German and includes tracking, obedience and protection. 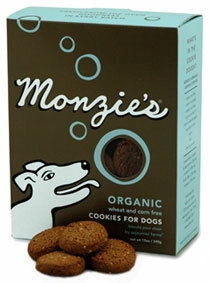 Numerous benefits for owner and human :>). *Therapy Dog - Numerous opportunities exhist for a well trained visitor to schools, hospitals, nursing homes, schools. *Tracking - Fun to teach your dog skills on grass, concrete, gravel, sand or asphalt. Some Rotties love this!. *Carting - Rotties hold records in this sport, Rotties muscular builds are perfect for this sport. *Skijoring - The sport of dog-powered skiing on cross country skis! What a thrill! 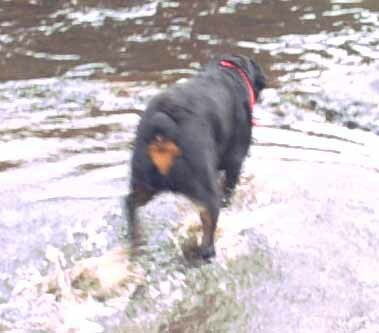 Don't forget picnics at the park, trips to the beach, river or mountains, most Rotties adore water and they'll remind you when you start to get close to their favorite swimming hole. Make sure you bring picnic goodies for them too! Hey mom, you'd look great in this! Don't let your dog choke on rawhide, try natural venison instead. Spencer is proud of his white chest and European tail and says you're never too young to start learning! PLEASE start training your Rotti BEFORE he becomes a large, unmanageable adult. 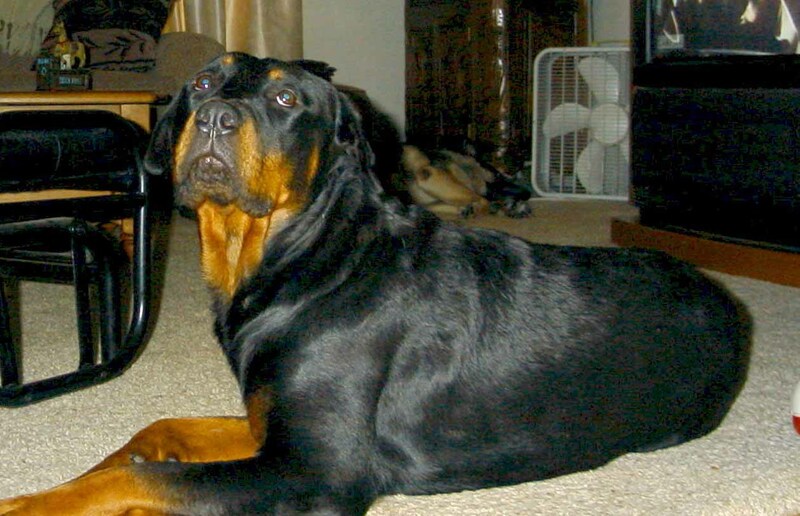 Too many Rotties, thousands are killed in shelters because their owners didn't take a little time to train them and later didn't welcome the lack of manners. Bad dog, or irresponsible owner? * Build incrementally, break down complex behavior into small components, build on each step. * Gentle methods work best, with patient repetition and yummy treats, like some of those duck breasts or carrot slices, training becomes fun for both of you. * Training for attention, and asking your dog to "pay attention" to you so it will later learn to recognize more complex commands and hand signals. 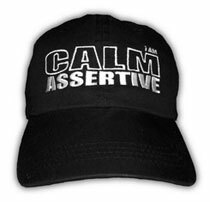 The "pat attention" verbal cue can be anything, as long as it's consistent, something such as "look" works well. Soon your Rotti will look at you on command and that's the beginning step to all training methods. * Clicker Training is fun, quick and easy, we'll have a page devoted to that..
* Don't let your Rott get in the habit of raiding the garbage. Not only is it a mess for you to clean up, but there can be dangerous things, such as cooked bones, rancid food, or chemicals that could harm your Rott. * Teach your Rotti to sit in a particular spot when guests arrive and not go nuts all over them, your family and friends will appreciate this. * Teach gentle mouth games...USE COMMON SENSE WITH OLDER ANIMALS, (ADULT HUMANS ONLY FOR TRAINING).......you could start with a soft toy and offer it to your pup, let him grab it and play with it a bit while you hold the toy too. After a few minutes, say "thank you" and offer a treat with your other hand and off to the side, so your pup has to let go of the toy to get the treat. Repeat this until your pup gets the idea and then automatically releases on "thank you." This helps the pup understand tthat it isn't losing the toy, but gaining a treat and will be very willing to relenquish things in the future. * Responsible action prevents problems, each Rottweiler and owner is a spokesman for the breed, whether they know or acknowledge the responsibility Responsible breeders work hard to maintain the quality of the Rottweiler's temperament, not all rescued Rotties come from responsible breeders. Rotti owners should take a stand and protect their Rottweiler from being in a position where he could get into trouble. Dogs should be contained within safe restrictions when the owner can't personally supervise their safety. This means not allowing Rotties to run loose, nor leaving them on tie-outs. It also means not leaving Rotts vulnerable to passerbys, even in a pen or fenced yard. Some people or children will taunt or tease a chained, fenced of penned dog, taking perverse pleasure in it's frustration. Being teased or tormented while confined increases the potential for a normally sweet Rotti to become aggressive in reaction to that abuse. If you must leave your Rotti outdoors while you're away, at least block him from view and make sure all of your latches are secure and your fence is of sufficient height to contain your athletic guy. The public is watching, YOUR neighbors are watching, legislators are watching, the media is drooling, let's prove that Rottweilers, and their owners, are stable, responsible and reliable. 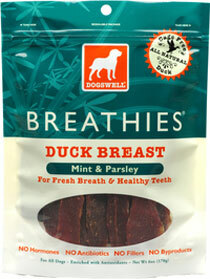 If you REALLY loved me, I would have some Duck Breast Breathies! 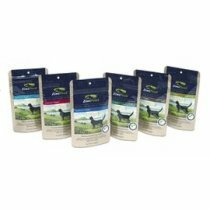 These are organic and there have been tug of wars with humans trying to share these luscious treats...they are a real hit at Happy Tails! Meek as a Mouse or Fierce as a Lion? A Rottweiler, with correct temperament has the ability to be both protective with it's family, or when working as a therapy dog and aggressive when the situation demands it, yet the Rottweiler is also calm, gentle and trustworthy. Given the importance of temperament, how can a breeder, rescue group or owner learn about an individual dog's temperament without "dogging" him for six months? 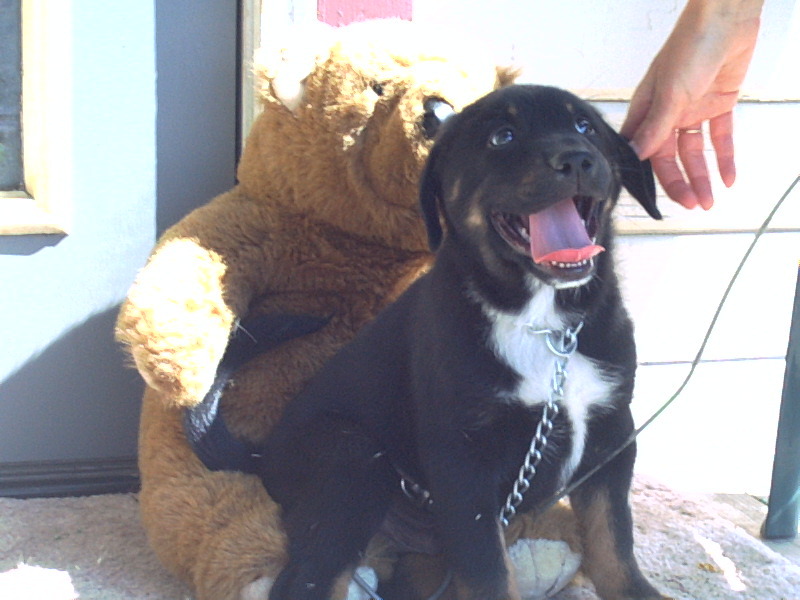 Temperament tests are used by shelters, breeders, and rescue groups to determine how a particular dog MIGHT react in a particular situation and to give a reasonable evaluation of an individual's character and temperament. Keep in mind, many behaviors are situational, and there aren't any guarantees in life, only possibilities. Testing a newly arrived Rotti in a shelter situation will truly be testing that individual in the worst possible circumstances, he may be half starved, abused and under emotional stress, it will only provide an indication of how that animal responded, to that person on THAT particular day. 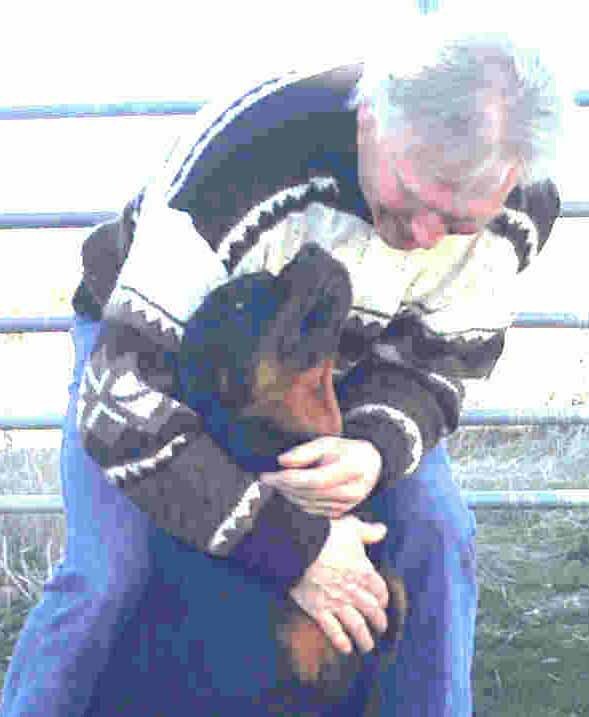 Rotties are unbelievably sensitive, keen readers of non verbal signals, body language, vocal tone and intune to the environment and humans around them, they may react one way with one person and substantially different with another. When evaluating a dog, keep in mind how you might feel if a total stranger were to race up to you, pound you on your back or belly and generally paw you all over, might you respond differently to such forceful attention than if that were a family member getting familiar with you? While we strive to accept only stable individuals, we recognize that time, affection, attention cures many evils. We've accepted dogs that were going to be killed because they were "extremely food aggressive", only to discover after meeting with the dog and allowing the Rott to set the tone for levels of familiarity that dog was happily accepting treats from our hands and, even half starved, preferred the combination of attention, affection and food delivered by hand to that of a full food bowl a few feet away. In short, we used common sense, watched for HIS body language or any indication of stress. The dogs we rescue aren't our best buddies when they arrive, they're frightened, nervous, hungry, and while some are well adjusted others are totally out of control with enthusiasm. Whether that dog is with us a couple of weeks or several months, he will leave with a wagging tail, having enjoyed plenty of unconditional affection, as much food as he wants to eat, lots of fresh water and plenty of body and food handling while eating. Now it's equally obvious, or should be, that when you take home your newly adopted Rotti, he won't be YOUR best friend that day either. He's likely to feel confused at being sent away and unsure of where he'll sleep, when or what he'll eat, who his new family members might be. 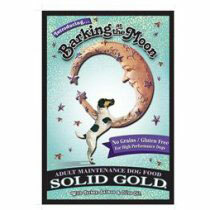 It's important to make him feel comfortable and GIVE HIM TIME, and PROCEED S L O W L Y.
Barking At The Moon Dog Food from Solid Gold ~ We can identify with that name...Isn't the name and reputation is enough to make you curious enough to try it? genesis wheatgrass - The Wheatgrass Growing Manual E-Book, a downloadable product, is an illustrated growing manual with day by day photographs to grow Genesis Organic Wheatgrass. Just one click below on "Petfinder Pages" and you'll conect to all current listings! Thanks for your visit, please stop by again! Brain Sync Change starts from within. Brain Wave Therapy. Help support Happy Tails Rescue every time you shop at your favorite retailers. And SAVE GAS by shopping online! Donate Online, please will you help fill our bucket? If everyone that visited our site and was moved by it or the stories of the Rotts, your spare change can literally help save lives. Most people don't give because of a lack of generosity, but because they feel their gift is insufficient. Every little drop of even $1.00 or $2.00 is very important would help fill and eventually over flow our bucket. Our growth has been overwhelming, we NEED to build a 80 x 120 foot enclosure for the Rotts with large outdoor runs, will you help? We promise not to "hound" you for greater donations, but thank you for your participation. 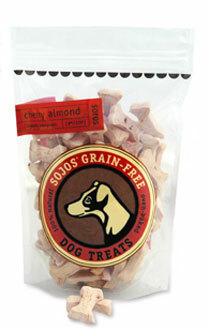 These are the best Almond cherry "good for me" things I've EVER eaten, thanks!